Baat– ‘eight’, Cham– ‘slash/ cut/ chop’, Dao –‘broad sword/ saber ’, Baat-Cham-Dao literally means eight-point-slashing-swords. This type of weapon originates from the southern part of China. One used for blocking, one used for attacking and both Dao often are used in a pair — also known as Butterfly Swords. This weapon provides training in mobility and further enhances precision in movement. Practicing the knives is comparable to practicing the pole and dummy techniques. The principle is to overcome the opponent with fast, simple, straight forward strikes. The horse stance must be extremely mobile, agile and the energy forward requires total body commitment and coordination . The weapon enhances the application and exertion of qi with the wrist and forearms, which improves your skills in hand combat. 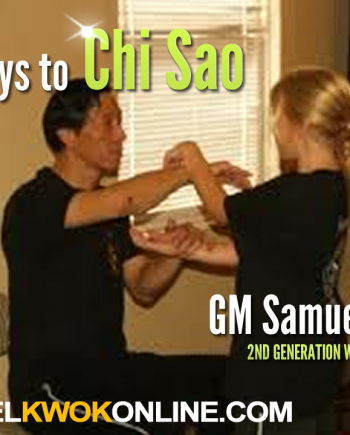 Because the weapons extend your energy range, you ability in Chi Sao and combat will be vastly improved. 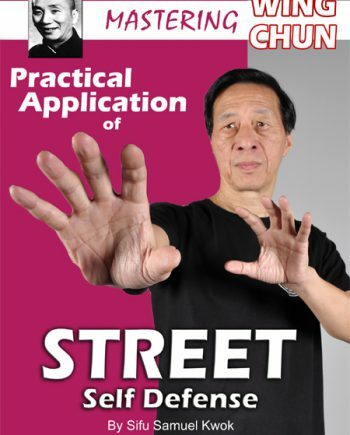 I have trained with the Baat Cham Dao in the Ip Chun version for a number of years. 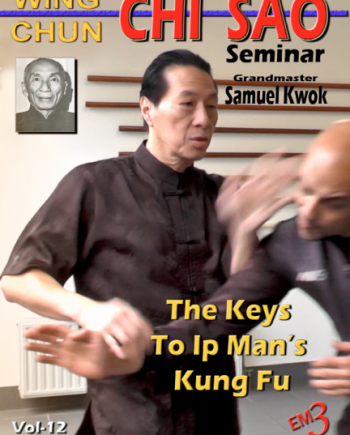 I had noticed on certain youtube clips that Samuel Kwok was training with Ip Ching outdoors in Hong Kong . I was very pleased to see that Samuel Kwok had produced this DVD which I purchased as a download based on his and the teachings of Ip Ching. 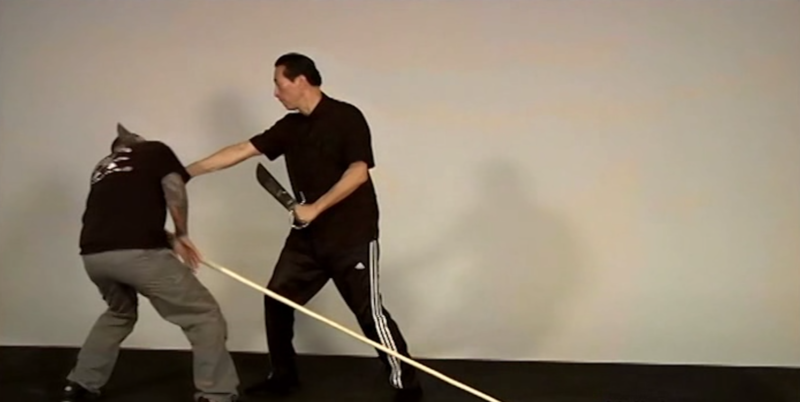 The filming of this DVD is excellent, showing different viewpoints and slow motion with clear explanations of each section of the form followed at each stage by a practical demonstration against a weapon. This gave a feel of timing and distance against a longer weapon, as most weapons are longer compared to the Baat Cham Dao. 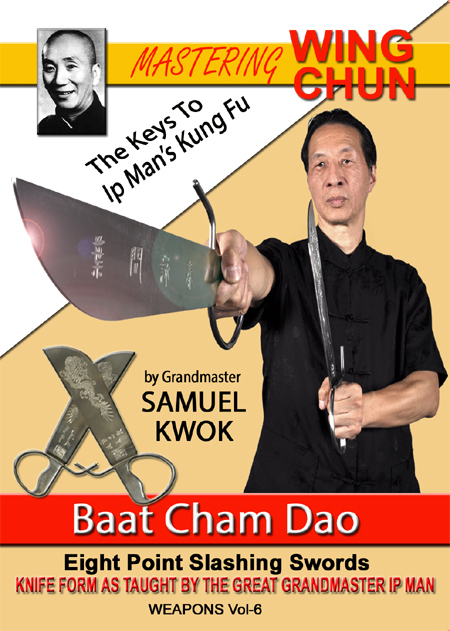 Samuel Kwok gave an interesting background description of the Baat Cham Dao, and the importance of the correct grip, enabling the correct cuts and flips of this weapon(s). There is a good understanding given of the correct stances and how to cover distances quickly. 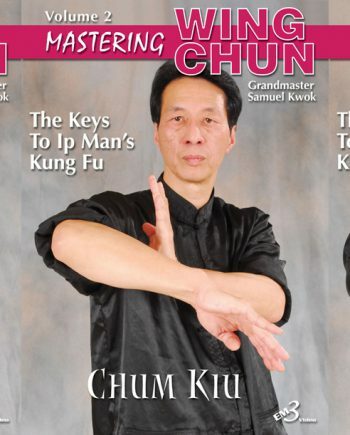 Not many people learnt the original form from Ip Man though many claimed to have done so. If anyone would have learnt the form then it would have been Ip Ching. If there was one fault then I would suggest seeing the complete form to begin with, as opposed to just the demonstration, breakdown and application. This can be overcome by making a note of the number where each section starts.